Dr. Joe Isaacson: The Family Dentist Oklahoma City Knows is OK! As your family dentist, Dr. Joe Isaacson is committed to the complete care of your and your family’s teeth and gums. With this in mind, our family dentistry practice in Oklahoma City, OK, offers a comprehensive menu of preventive and restorative treatments to guarantee you and yours happy and healthy smiles for a lifetime. The old adage that an ounce of prevention is worth a pound of cure has probably never been truer than with family dentistry. With this in mind, Dr. Isaacson and his staff would like to see you and your family at least twice every year for dental checkups. Regularly scheduled checkups help us monitor your oral health and notice any concerning changes before they become painful or expensive. Of course, at these checkups we’ll also clean your teeth and remove plaque, assess the health of your gums and look for early signs of gum disease, check for tooth decay and take digital x-rays when necessary. 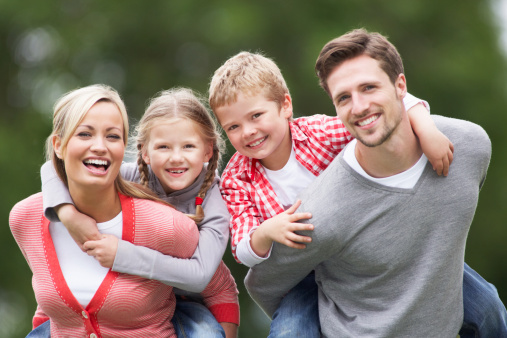 Family dentistry extends well beyond the checkup to include a variety of procedures that address a number of dental problems. For example, children especially may need fluoride treatments or dental sealants. Fluoride is a mineral that strengthens enamel. Topical fluoride treatments help children fight the battle against decay-causing bacteria. Likewise, dental sealants create a physical barrier between bacteria and the chewing surfaces of your children’s deeply grooved molars where food particles can hide and initiate decay. If you hear the sound of teeth grinding at night, then someone in your family needs a nightguard to protect those teeth from unnecessary wear and tear. And if there’s an athlete in the family—young or old—then he or she should be wearing a custom-fitted mouthguard to protect teeth, gums, lips and tongue during competition. If it’s time for you and the ones you love to see the family dentist Oklahoma City, OK, trusts, then schedule an appointment with Dr. Isaacson. We also serve patients from the surrounding communities of Edmond, Yukon, Piedmont, and Mustang and beyond.